Are you a keen young cook with big ambitions? 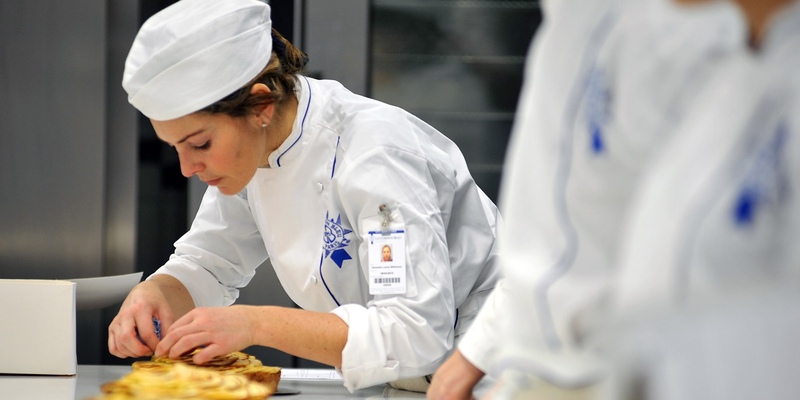 Enter Le Cordon Bleu’s Scholarship Award for training and accommodation worth over £35,000. Getting a foot in the (kitchen) door of the culinary world can be challenging – trying to get hands-on experience with the industry’s best and brightest alongside hundreds of other aspiring chefs who are trying to get noticed is no mean feat. This daunting prospect unfortunately puts a lot of young cooks off pursuing a career in the kitchen, which is contributing to the current lack of skilled chefs working in the UK. However, there is hope. 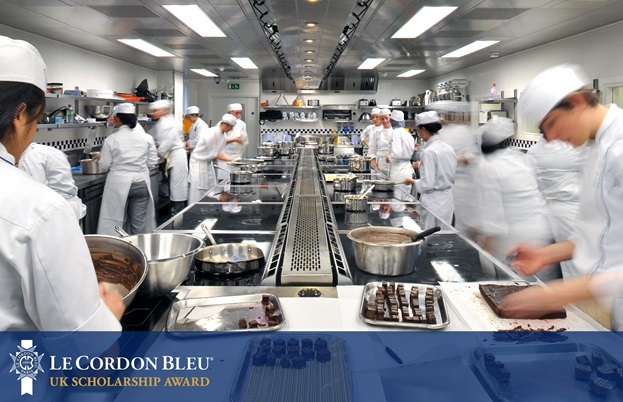 Already a culinary institution and responsible for training many top chefs, Le Cordon Bleu is looking to give one aspiring young chef a phenomenal boost to their career with the launch of the 2016 UK Scholarship Award. Now in its fifth year and working in partnership with some of the country’s top chefs, Le Cordon Bleu will be offering the winner the opportunity to gain the skills they need to pursue their kitchen dreams with both technical qualifications and personal mentoring from the best in the business. Keen cooks can apply to enter the competition online until 3 April. No previous professional cooking experience is required; all you need is to demonstrate some serious food passion to be in with a hope of getting through to the regional semi-finals. These will be run by the scholarship’s partner chefs: Anna Hansen (London and the South East), Simon Hulstone (South West), Will Holland (Wales), Frances Atkins (North) and Mark Greenaway (Scotland and Northern Ireland); all of whom will also be on the road during February to promote the scholarship and offer advice to any applicants. The prize itself will be awarded during the summer at the UK finals, and will see the winner offered an incredible kickstart to their aspirations: a year of classical, technical and in-depth training on both the school’s Diplôme de Pâtisserie and Diploma in Culinary Management courses, plus an internship with three Michelin-starred chef Clare Smyth. Accommodation in London during this time will also be provided by Urbanest, allowing the lucky winner the chance to truly immerse themselves in the training and throw themselves into their studies. Le Cordon Bleu and their partner chefs believe that this combination of skills-based training, understanding of business applications and actual kitchen experience will give any young chef the best possible start, especially in the realm of pâtisserie, where technique and precision battle it out with demand for innovation and creativity. The aim is to nurture talent and the whole programme is designed to benefit all applicants (not just the winner), as those taking part have the opportunity to meet, learn from and be inspired by chefs already successful in the industry. So, what are you waiting for? 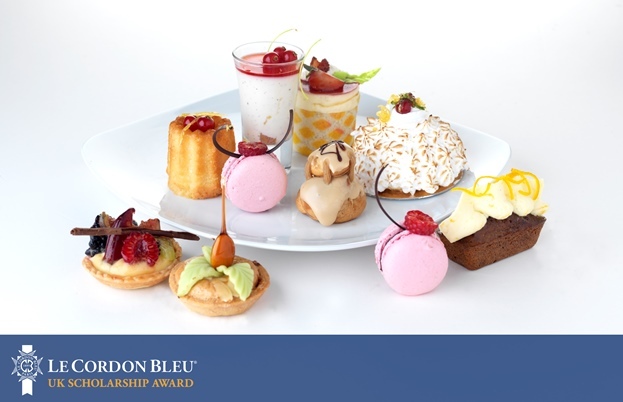 Visit Le Cordon Bleu’s 2016 Scholarship Award page for more details on how to apply and start demonstrating your passion for pastry and nifty knife skills – a set of chef’s whites could be just around the corner. All images provided courtesy of Le Cordon Bleu London.